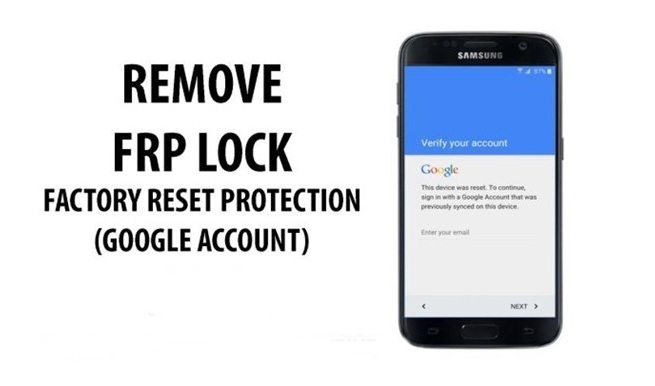 Factory Reset Protection (FRP) Lock is the built-in security feature that comes with Android devices, allowing the users to protect their devices and information, including the screen locks, data encryption, and other files. What is Factory Reset Protection & How to Remove FRP Lock? The FRP is automatically activated on the Samsung Galaxy Devices when you put your Google account on your device and once it is activated, it provides the fool-proof security to the device, preventing the use of the device, after a factory data reset. The FRP activated the device after the factory data reset can only be used if you log in to your Google account, with the same username and password that was previously set up on the device. However, most of us forget the password and usernames of our accounts and gets stuck with the FRP lock. That is common and happens to us, at some point in our lives. In such case, how to access your phone? Fortunately, there is a way to remove FRP lock when you don’t have any access to your Google account set on the device. Read on to know. Get the frp lock bypass tool apk from any trusted website on your PC. You can get the Samsung Bypass Tool from the link below and extract files on your PC. Once extracted, copy the bypass any Samsung Google Account Lock.apk file in the USB pen drive. When you connect the OTG with your Samsung phone, an icon “USB Storage File Manager” will appear on your phone. Now select the apk file to install it on your phone. After the installation process, open the file and you will be prompted for your phone’s Settings menu. From the settings menu, tap on the “Backup and Reset” > “Factory Data Reset” > “Delete All”. This will allow your phone to restart and the FRP lock from your phone will be removed. You will not be asked for any Gmail account after the restarting process and you can easily access the phone afterward. Bypassing FRP lock on the Samsung devices is really easy. You don’t need to get the combination files. All you need is to have the Samsung FRP Bypass Tool and you are done. If you want to bypass FRP lock on Android 6.x or Android 7.x phones like Galaxy S6, Galaxy S7 Edge, Galaxy S8 Plus or Galaxy Note 8. You need to follow this guide. Use this method and let us know if this worked for you. If not, share your views so that we can work on it for you.